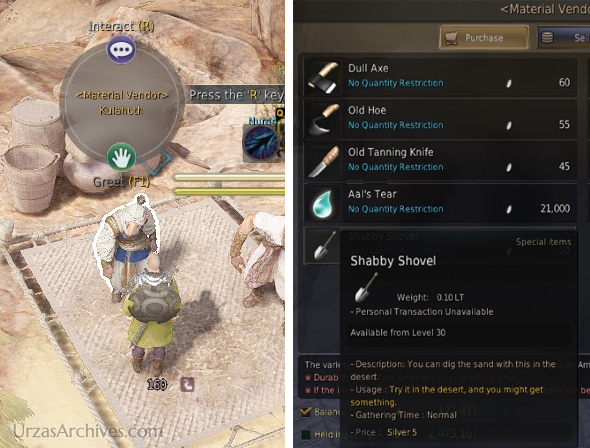 Home » Black Desert Online: Gathering » Digging like a Pro! Personally, I don’t like sand. 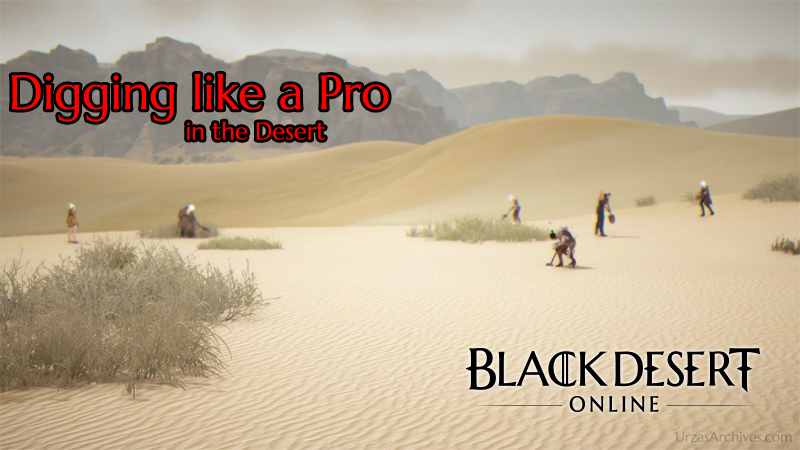 It’s coarse and rough and irritating and it gets everywhere… but there are not many other available gathering options, in Black Desert Online, that yield such high profits and allows you to be semi AFK. Digging has a bright spectrum of possible results including Black Crystal Shards and Gold Ingots. While you can basically dig anywhere in the desert of Valenica most people directly dig in front of the Sand Grain Bazaar. You need to be Lv30+ and in addition to that for every gathering attempt you need a Shovel which can be bought at any material Vendor – Sand Grain Bazaar has its own Material Vendor. And it might be possible to get even bigger Gold Ingots from digging! 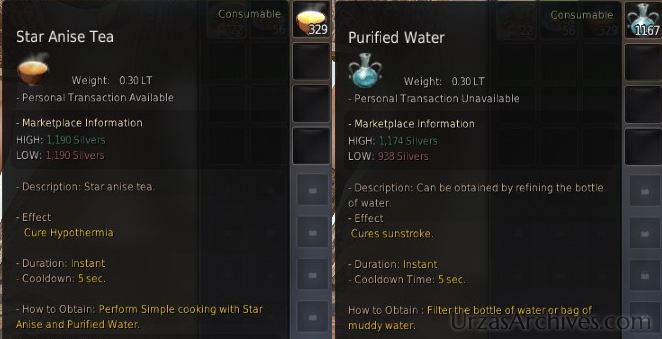 In my eyes this would be the perfect gathering option for everybody if there wasn’t the thing that actually makes digging the ulcer of Black Desert… the deserts Debuff. Every few minutes, or sometimes every few seconds you have to drink either purified water of star anise tea depending on the time of the day. Due to that you can only be semi AFK as the Debuff will quickly kill you if unnoticed and a death from this debuff counts as a normal PvE death which means you will be penalized on your XP and your crystals might break. This is the reason why you should never dig with your weapon and offhand equipped – a moment distracted and there goes the Red Battlefield: Power Crystal. Yet, there is another thing I actually should not tell you as you are not allowed to think about it in the first place. 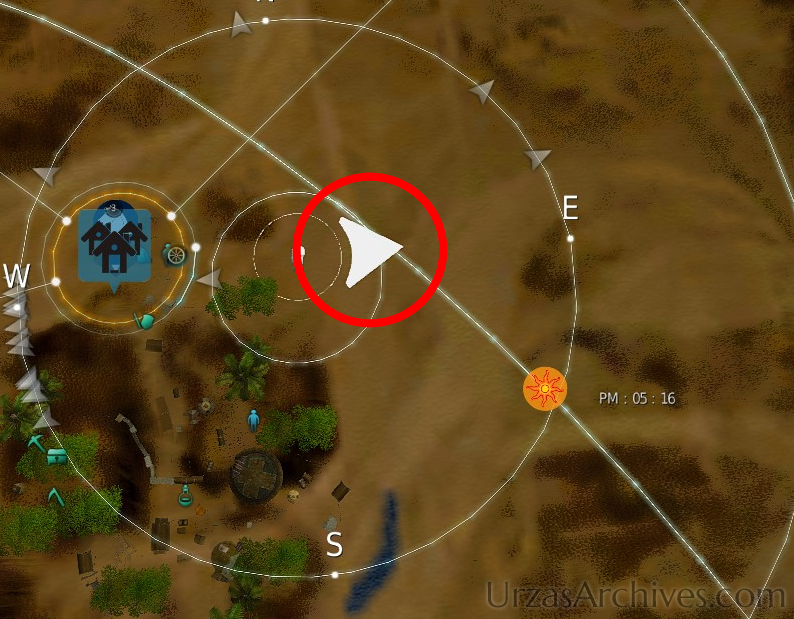 As you don’t need to move a single step in between two gathering attempts digging especially shows you how time consuming gathering actually is. A single dig with +5 Gathering Speed takes 5s and even while Shining and Magic Tools reduce this time for other gathering options like grapes or boars (here you have to add your actual movement which will result in a gathering attempt every ~4-5s as well) you will use 10 minutes for the use of 120 Shovels and depending on your Gathering Skill and you maximum energy you can easily dig with 1,200 Shovels at once with is more than one and a half hour sitting there watching your alter ego getting a sun stroke. 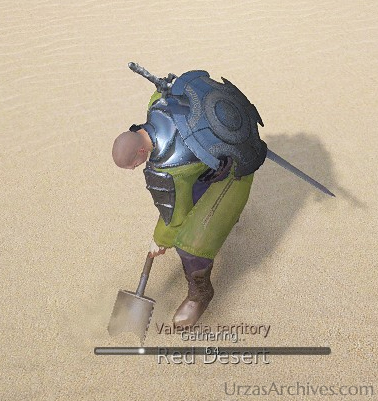 Still, digging remains one of the best gathering options in all of Black Desert Online and you can easily watch series while digging (did the full Clone Wars series while digging!). Just remember to go for a quick shower once you leave the desert, nobody likes sand in their crotch!